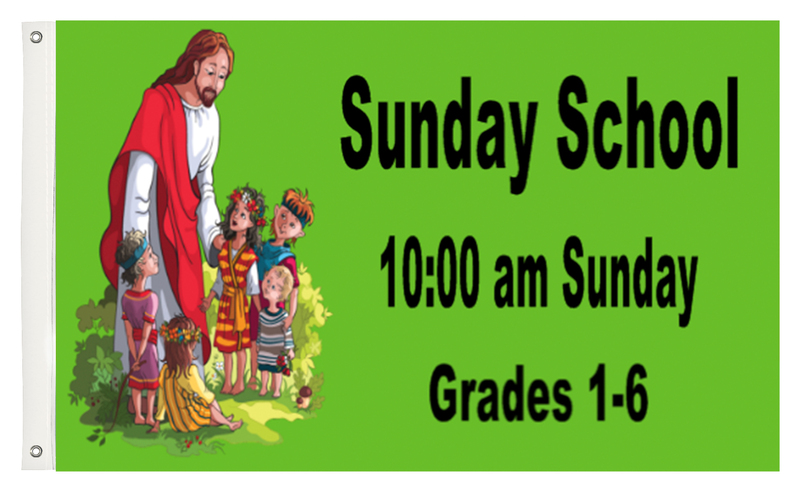 Sunday School Fabric Flags - Order Online Today! Use fabric flags to let everyone at church know of Sunday School classes. Make a custom flag that says the name of your church along with the time classes start. Browse through Sunday School templates, add photos, clip art and text. You can also upload a print ready file or work with a graphic designer.